Occasionally, a couple of bloggers that I follow do these posts they call Photo An Hour - where they pick one day of the week to take a photo of whatever they're doing each hour. It's a peek into their daily lives in photographic form. It's not as creepy as it may sound; it's really just more intent documentation of a day in the life of that person. Really, isn't that what blogging is all about- sharing a bit of our lives with anyone who is curious? We're the over-sharers of the internet world, unified by our common ability to talk about what goes on in our lives to anyone who is willing to listen read about it. 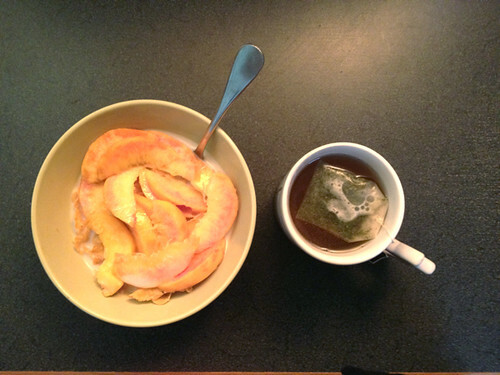 9am: Breakfast: green tea & cornflakes with fresh peach from a local farm. 10am: Catching up on blogs. 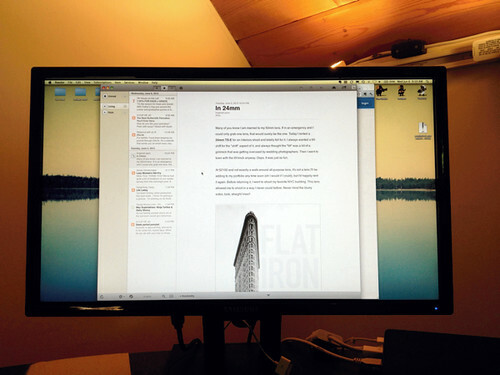 Reeder is my preferred blog reader. 11am: Making morning glory muffins. 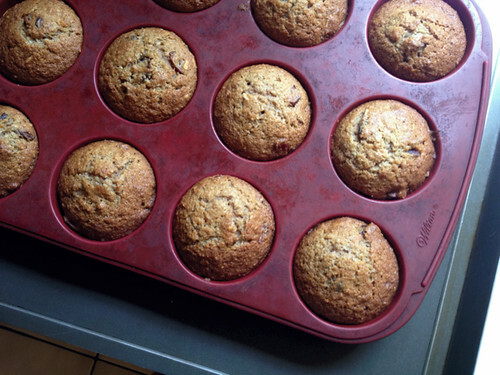 12pm: Muffins are out of the oven and cooling down. 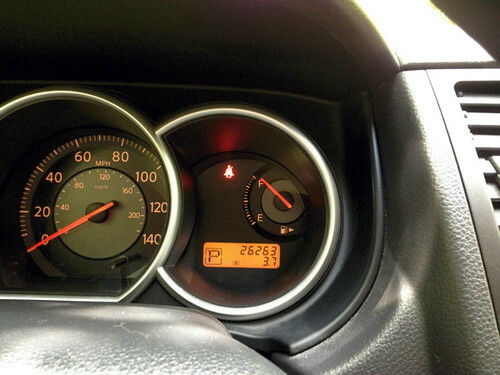 1pm: Filled the car with a full tank of gas while on my way to the grocery store for a few things. 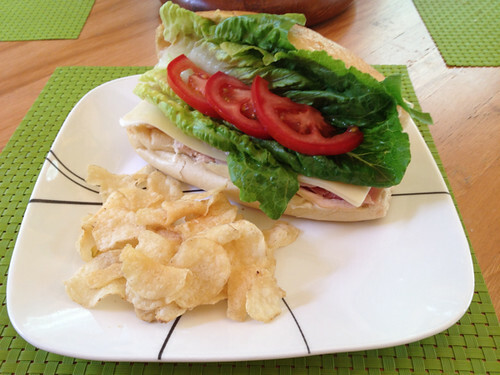 2pm: Turkey, ham and swiss sandwiches with chips for lunch, yum! 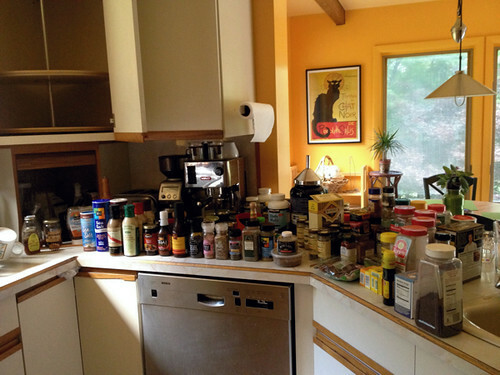 3pm: Cleaning out the spice cabinet - can you believe all that fit up there?! 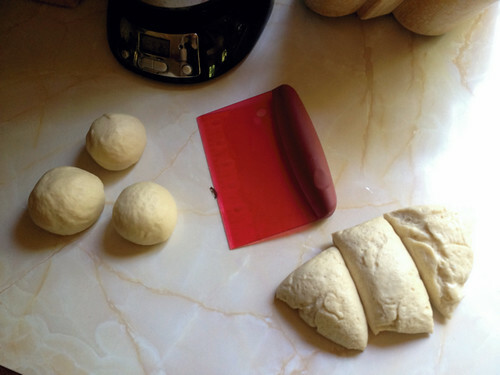 4pm: Portioning naan dough after making it earlier and letting it rest for two hours. 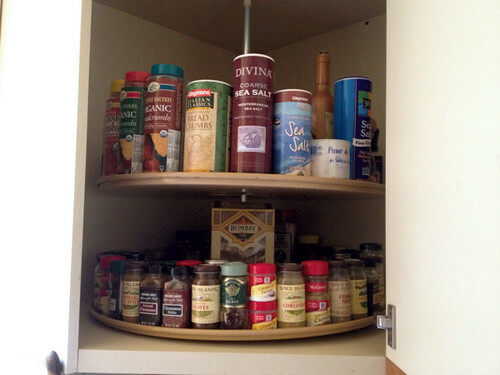 5pm: The spice cabinet is officially clean and organized alphabetically, because I like it that way. 6pm: Snacking on homemade naan and Trader Joe's hummus. 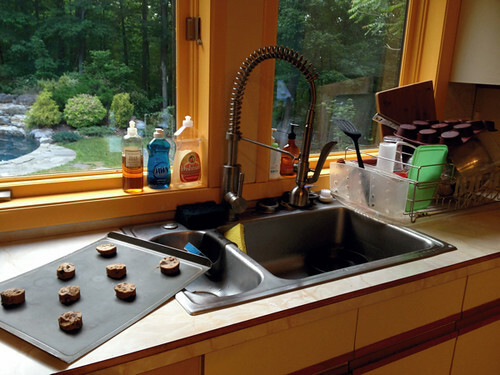 7pm: Did some dishes and pulled out some chocolate chip cookies to bake off. 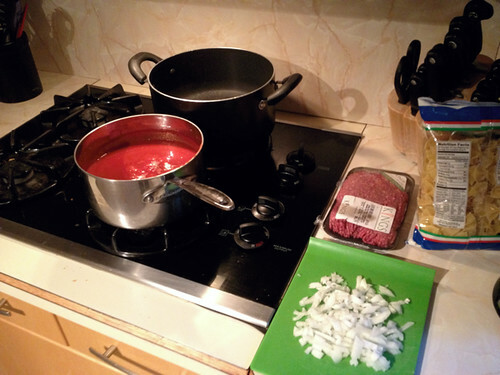 8pm: Making dinner; waiting for the pasta water to boil. 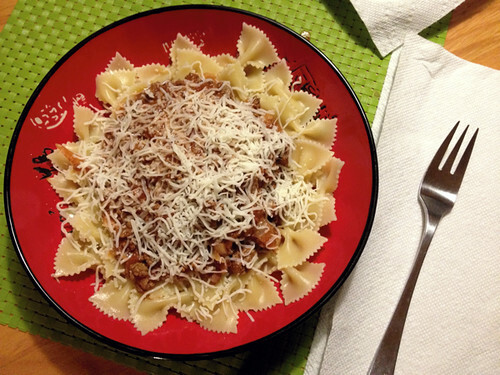 9pm: Pasta Bolognese - my favorite! The photos stop there because all we did after dinner was watch a bit of Food Network and get ready for bed. This is a typical day off for me; unless we have plans to do anything special, I do whatever baking I've been thinking about all week and spend the rest of the day catching up on my never-ending to-do list or organizing parts of the house. There's always so much to do in a day! You organized the spice cabinet ALPHABETICALLY! That's great! I love you Marine but I question whose daughter you really are. You didn't get that from me or from Mom.